Nutrition is one of many methods used to improve rates of recovery from injury. During training or competition, injuries are inescapable – a well structured training programme that accounts for injury prevention is going to be invaluable, however accidents, strains and tears will always prevail despite the best preventative measures. Injuries often lead to the complete or partial reduction in sport and exercise, where the cessation is dependent on the severity of the injury, i.e. immobilisation of the joint. Therefore interventions put in place to decrease the amount of time it takes to return to playing or exercising are going to be a high priority. Depending on the degree of injury, it can be considered that initial period of an injury has two phases; the healing phase and the recovery phase. Immediately after an injury, the healing process begins which consists of three processes; inflammation, proliferation and remodelling. These processes are very similar for both soft tissue and bone and are influenced by nutrition. The second phase; rehabilitation, considers the promotion of exercise and activity and the return to full health – similarly, this phase is also dependant on the severity of injury and may considerable time, months to years in duration. In this case, nutrition recommendations for injury rehabilitation will follow very similar guidelines to those wishing to increase muscle mass and strength. In depth guidelines on how to follow a nutrition intervention to facilitate muscle mass and strength can be found HERE. Therefore, the guidelines suggested in this article will be primarily focused on the first phase of injury during periods of inactivity and immobilisation. You get injured, what’s next? Immediately following an injury, an inflammatory response is initiated and is crucial for the healing process and can last between hours and days. It is generally suggested to use nutrition interventions or medication to reduce the severity of inflammation. However, this must be used with caution and is considered to be somewhat short sighted as the reduction of inflammation during this period may impair the healing process. 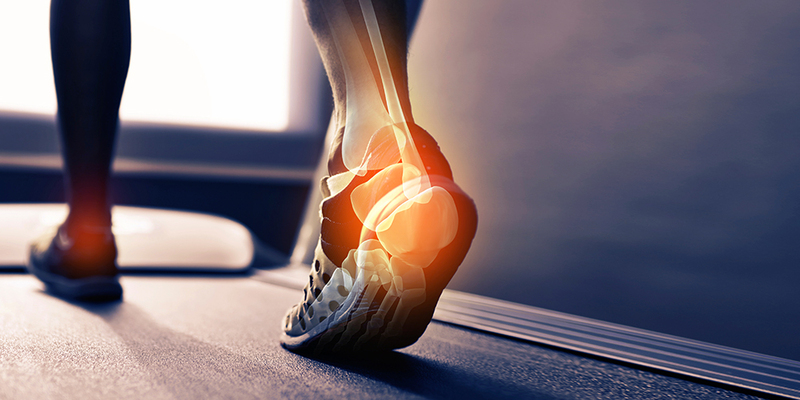 It’s been suggested that in healthy exercising adults, inflammation caused through injury will not reach uncontrollable highs that warrants the need of managing. Therefore, it’s a case of letting it run it’s course. During the initial phase, reduced activity and immobilisation will lead to muscle wastage and impaired tendon structure and function. Muscle deterioration has been shown within 36 hours of immobilisation with substantial losses in 5 days. As muscle mass plays a large role in many physiological functions, the primarily goal during this period will be to offset muscle breakdown and loss. Therefore stimulation of the muscle to grow and maintain its size either through activity, sport or resistance exercise will become non-existent which suggests that an intervention from a nutrition perspective takes a high priority. As expected, rates of muscle growth, or muscle protein synthesis (MPS) will decline and as a result places the injured individual in a state of negative protein balance as rates of muscle protein breakdown (MPB) exceed MPS. A positive protein balance is associated with muscle growth and gains in strength, therefore returning to this state is best practice whilst the muscle is disused. During exercise, the muscle is sensitised to protein and favours anabolism (muscle growth), however during periods of inactivity the muscle develops anabolic resistance, therefore making it even harder to retain muscle mass. In healthy individuals who exercise, approximately 20-25 grams of high quality protein is required to stimulate MPS. However data reported in the ageing population who develop anabolic resistance require a greater dose of ~40g to overcome this. Therefore it can be speculated that a higher protein intake may be warranted to overcome this and rescue the muscles anabolic potential during disuse. Furthermore, the combination of reduced activity and muscle mass may also lead to decreased insulin sensitivity and impaired glucose metabolism through a reduction in the glucose transporter protein (GLUT4) – therefore further highlighting the importance of retaining muscle mass during this period. From a nutrition perspective, six areas have been identified and should be considered a higher priority in order to return back to exercising and competing in the fastest way possible. Calorie intake and energy availability is a vital component during the recovery process where determining an exact calorie requirement is difficult due to the numerous factors involved. It would be advisable to decrease calorie intake due to the decrease in energy expenditure through exercise – if this isn’t considered, unwanted body fat mass may increase. However, the healing process is energy expensive, where expenditure has been reported to increase by 15-50% depending on the severity of the injury. Furthermore, energy expenditure can be further increased by two to three- fold if crutches are used during ambulation. As exercise and activity is decreased, protein turnover becomes reduced as muscle is not being built or repaired at a higher rate– Since this is an energy expensive process and under these settings becomes reduced, calorie requirements would need to be adjusted downwards. Therefore, determining calorie requirements will consist of trial and error depending on body mass and anthropometric changes. Moreover, calorie restricted diets without the stimulus of exercise will promote accelerated rates of muscle loss and impair the healing process where consuming sufficient calories may mitigate this. It could be suggested that a slight calorie surplus may be advantageous for favourable rates in recovery and muscle remodelling. A trade off will exist and slight amounts of body mass will be gained, however this can be lost once returning to full health. Aim to consume a larger protein dose of ~30-40g of protein per meal or 5 meals consisting of ~0.5g per kilogram of bodyweight (g/kg/bw) to achieve the recommended 2.5g/kg/bw per day. Nutrient deficiencies impair the rehabilitation process; from managing inflammation to muscle repair. Therefore avoiding nutrient deficiencies is going to be paramount during this phase. A food first approach would be a pragmatic method in achieving your nutrient requirement – In this case, consuming a wide variety of foods, including fruits and vegetables with an array of colours. Aim to consume 10-12 portions per day to ensure sufficiency’s and remove the need to supplement as once requirements are met, more will not promote further benefits. The only nutrient in question that may require supplementation is vitamin D due to its role in bone formation and its poor availability through diet and lack of sun exposure. Creatine is a molecule found within the energy production pathway (phosphocreatine) which is a driving component in producing energy (ATP) to support normal cellular function. Creatine can be found within the muscle (endogenous) or from foods (exogenous) such as; meat eggs and fish. With regards to creatine supplementation, there are many forms of creatine; however creatine monohydrate appears to be the most favourable and effective option. Creatine in the athletic population offers many benefits such as; improvements in high intensity exercise, increase strength and muscle mass, increased glycogen resynthesis, improved power output, weight gain, alertness and hydration status. Moreover, creatine offers health benefits in a clinical setting and appears to be neuroprotective, cardioprotective, likely to decrease symptoms of depression, and reductions in fatigue. Inconclusive evidence would also suggest that creatine may be used to counteract muscle mass wastage during immobilisation, however does improve muscle promotion during rehabilitation. Furthermore, improvements in oxidative capacity of the muscle and improved glucose metabolism through preventing the decrease in GLUT4 during inactivity are also observed when supplementing with creatine. Creatine usage is often associated with a loading phase (4 x 5g servings per day for 5 days) followed by a maintenance phase (3g per day) in order to saturate the muscles phosphocreatine stores quickly, however is not necessary as consuming a maintenance dose (3g) on a daily basis without a loading phase will result in the same saturation point towards the end of a cycle. Therefore, loading would be advised if time restraints are in place, such as injury management. Omega three fatty acids receive attention due to their anti-inflammatory properties and their ability to modulate the immune response. However, high dosages may not be warranted as a significant reduction in inflammation may impair the healing process. Therefore, consumption of omega threes through whole foods such as salmon and mackerel would be favoured to manage inflammation with the avoidance of high dosage fish oil supplements which may diminish inflammation. In addition, omega three fatty acids may play a role in muscle mass retention and help overcome anabolic resistance to protein meals. Therefore consuming cold water fish would be preferable during this phase of recovery. Spices such as turmeric contain a very powerful anti-inflammatory compound called curcumin which may help to control inflammation once the initial inflammatory response has passed. Supplementing with curcumin to improve rates of recovery in soft tissue and bone is unsupported, however may play a role in improving recovery from traumatic brain injuries (TBI). In this case, cucrumin supplementation may be advisable as consuming turmeric through whole foods will be very difficult in achieving an effective dose. As the majority of research performed in this area is with rodents, it is difficult to determine an exact dose. In contradiction and due to not being able to provide an effective dose, a food first approach may be advisable with absorption rates being further improved by consuming it with black pepper. With the approach of; first do no harm – it is always encouraged to use supplements with caution, especially with higher unsupported dosages. Definitive guidelines and recommendations for nutrition and improving rates of recovery from injury are scarce. Therefore the risk: benefit ratio for each intervention used should be the forefront of every approach. The guidelines suggested promote a food first approach and may appear to be fairly straight forward and lacking any new and exciting strategies – however this appears to be the most effective and safest approach for injury healing and the return to sport and exercise in the quickest way possible through a nutrition focused approach.